CPD - Client interaction, communication and team leadership. Including client communication and team leadership skills. A weekend course aimed at qualified veterinarians and animal handlers, learning and applying desensitising and physiotherapy techniques, applying Animal Transaction models across species. A two day course aimed at professionals working within animal environments exploring Animal Transactions, and how to understand and apply principles to enrich the lives of our charges. Designed for equine veterinarians and specialists, this two day course aims to highlight the benefits of Animal Transactions within a physiotherapy environment. Warming up the horse, exercising muscles on lame horses and teaching the handler beneficial ways of modelling shape through Animal Transactions. 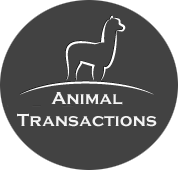 This two day course aims to address the ways in which we can utilise Animal Transactions in the real world. Exploring the ways that herds as well as groups and teams work, studying techniques that assist with confidence both whilst working with animals and interacting with our human client base. Ideal for young professionals, and can also be hosted as a team event to promote confident team work within animal practice. A much over looked area of veterinarians and professional animal handlers work, we typically don't worry about desensitisation for interaction until faced with a problem. This course is designed to assist with client interaction, teaching Animal Transaction models to enable the veterinarian, the handler and indeed the client ways in which to desensitise animals for injection and clinical and topical intervention, thus creating a safer working environment for animal practitioners and clients alike. For off site workshops, professional development, workshops within practise, team building events in France or at your workplace, please contact directly for more information. * Cost excludes accommodation which can be arranged locally or onsite. Excludes flights and transfers to and from the centre - Easy Jet and BA fly into Toulouse from most major UK airports, City Jet from London City into Pau, and Ryan Air into Lourdes Tarbes airport. Transfers can be arranged as can additional team building events, wine tours and mountain ski trips ( seasonal) at a supplement or direct with local suppliers.